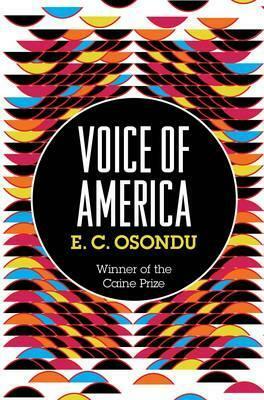 "Voice of America" is a collection of eighteen short stories mainly about Nigerians, set in Nigeria and in the United States of America. Though, many Africans or people of African heritage could as well identify themselves with the stories and characters. Generally, all the stories are of great quality, interesting and enjoyable. However, I will only try to review the ones that somehow caught my interest. Bar Beach Show heartrendingly narrates the story of a father that took his two children to Lagos Bar Beach to witness the death by firing squad of some arm robbers. That is to show them, like the robbers, the price they'd pay if they ever go astray. However, he got the opposite effect since his son disgracefully ended up dying by firing squad. "My dear son, why have you not been sending money through Western Union like other good Nigerian children in America do?" It is in deed sad that many families and relatives would begin a letter like this to their own children abroad. Whatever happened to "Dear son, how are you and how have you been?" The fact is that this still occur today. Parents, families and relatives use their only and last resources to send their children overseas, with the hope that they will do well and in turn support them financially. Nevertheless, more often than not, life do not always turn out as planned. Going Back West: Dele was suppose to be studying chemical engineering at the Massachusetts Institute of Technology but was deported to Nigeria. His uncle, who was like a father to him tried enrolling him in the University of Lagos so that he could complete his studies. However, Dele refused and was hellbent on going back to America. It was quite interesting to read how far he went in order to return to America. The men they married is one of my favourites. Ego married a man because she thought he was a prestigious medical doctor that works in a prominent hospital in the USA. However, when she moved in with him from Nigeria, she found out that he was only a certified nursing assistant. Uzo lives with her husband and a step son who would not give her peace of mind. Ebone agreed with the idea of divorcing her husband so that he could marry an American citizen in order to legalise their situation without knowing that she was actually loosing her husband for real. Miracles Baby: Ijeoma an intellectual young woman lives with her husband in New York City. She traveled all the way down to Nigeria on her mother-in-law's request to see a prophet who would pray for her so that she could have a child. Finally, she had, though not for too long. An Incident at Pat's Bar was very entertaining. The story of the white foreign oil workers, the local girls and the abductors in the Niger-Delta area. Stories like Waiting (with which he won the African Caine Prize in 2009), Jimmy Carter's Eyes and Nigerians in America were quite interesting too. Voice of America is an entertaining, interesting and funny collection of short stories. Which mostly expounds on the cultural lag African immigrants encounter in the Western world. E. C Osondu beautifully writes with great wits and wisdom, emphasizing on the fact that the grass is not always greener on the other side of the fence. It goes without saying that I recommend especially if you are a lover of (African) short stories. Thanks for bringing this collection to my attention. I've put it on my to-read list.